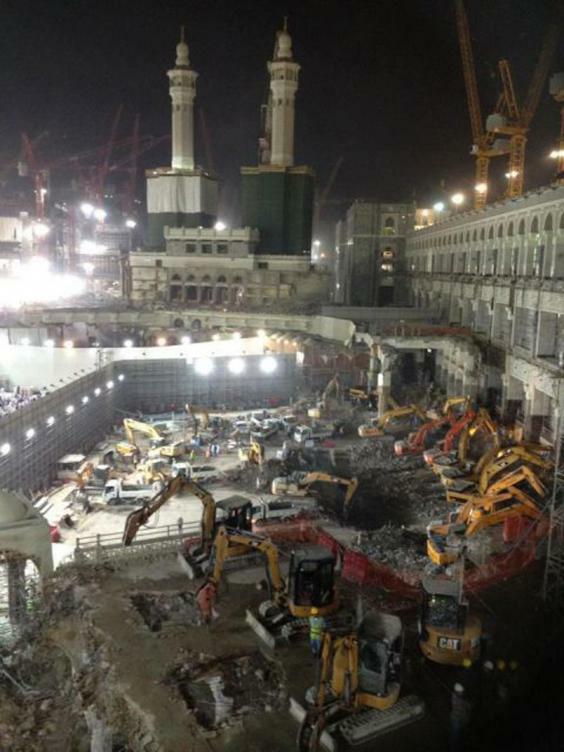 On September 12 2015 a crew that was digging a tunnel below the Masjid al Haram mosque in Mecca discovered a mysterious object. The construction project was highly controversial and involved 'demolition' of Islam's most sacred relic - there had to be a very good reason for it to be carried out, ostensibly one authorities weren't prepared to share with the public. When the crew approached the object 15 of them were instantly killed by what was later deemed to be a plasma emission. 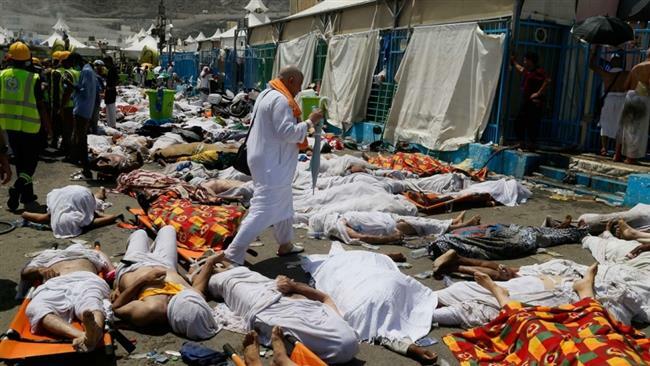 That burst of energy was so powerful that it knocked over a construction crane above ground that killed an additional 107 people. What took place before and after the accidents is quite strange, in particular since most of it is carefully kept outside of the view of the general public, in some cases for centuries. 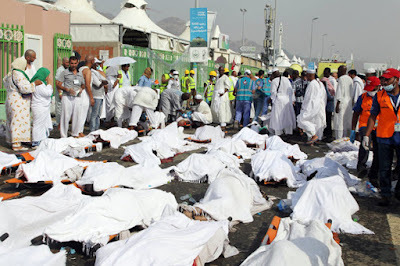 After the accident emissaries of the Grand Mosque contacted the patriarch of the Russian Orthodox Church Vladimir Mikhailovich Gundyayev, a.k.a. 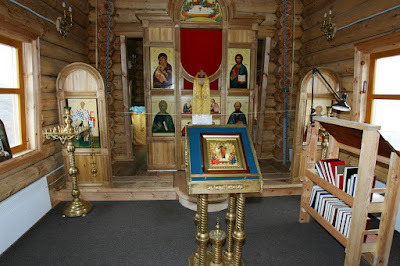 Kirill, because the Russian Orthodox Church was in possession of an ancient document called 'Gabriel’s Instructions To Muhammad', that most likely contains information on how to approach the object, similar to ritualistic precautions Jewish priests had to take before approaching the Ark of the Covenant without being killed intstantly. approach and survive a meeting with the Ark. Allegedly the Russians came into possession of aforementioned document when they kept Islamic documents when the Roman Catholic Church sent crusaders to combat both the Islamic and Russian Orthodox faiths (intending to eradicate them in their entirety probably like pope 'Innocent III' did, who massacred the Cathars and Bogomils). Perhaps some information was missing, which might be what urged the Roman Catholic pope and the patriarch to meet in Cuba on Feb 12 2016. 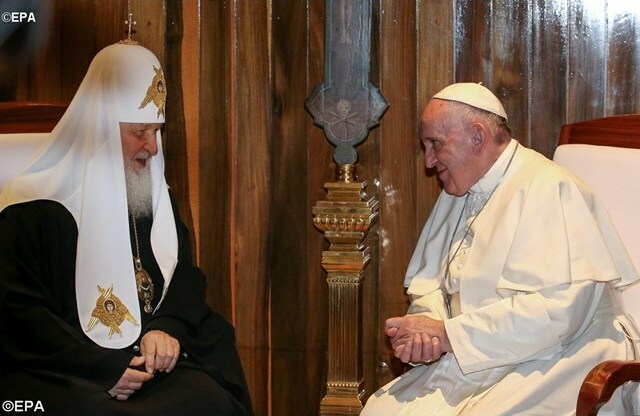 It was the first time in 962 years that the leaders of the churches met, signifying that the event must have been of pretty great importance. 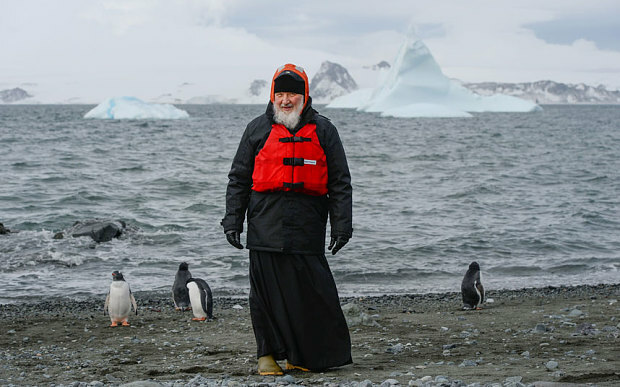 Assuming that the church leaders were in fact making sure the information on how to approach and transport the ark without being killed instantly was complete, only after that encounter Vladimir Putin gave the order to transport the Ark to Antarctica... Patriarch Kirill also traveled to Antarctica allegedly to perform an ancient ritual. What would require a ritual to be approached / handled? Why the South-Pole? Or is there an other question that should be asked? 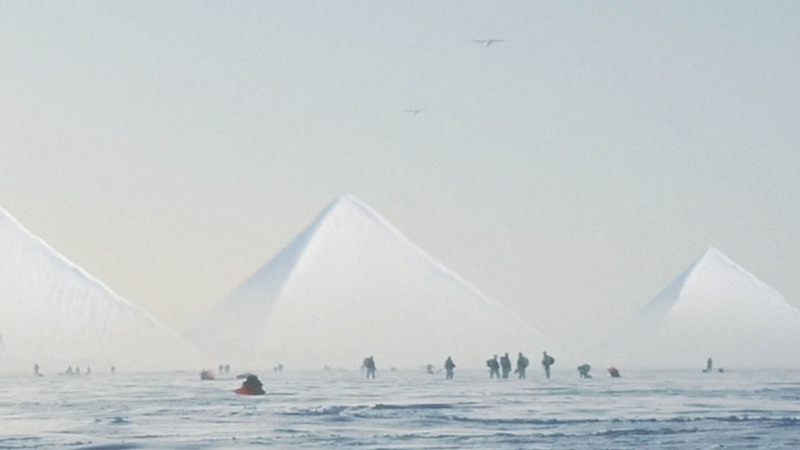 This video clip revealing that there are pyramids in Antarctica might shed some light on it. What is the purpose of a church where there are no believers? Even Obama seems to have paid a visit to the Ant-arctic which was (of course) not reported by mainstream media: https://www.youtube.com/watch?v=gV53EgGK5D4 which is an indication that something, that up to now has remained undisclosed, is going on there. The thing is, that the dimensions of the Ark of the Covenant exactly match the dimensions of the king's tomb in the great pyramid of Giza. The Egyptians came after the Jews after they discovered that the Jews had taken / stolen the Ark from the pyramid. 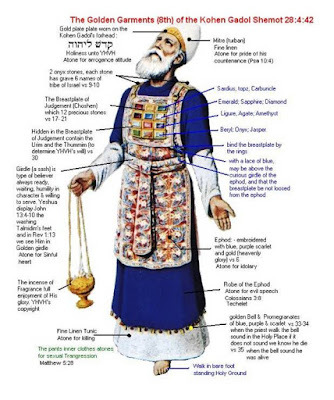 Moses was a high priest in Heliopolis and therefore aware of what rituals to conduct in the vicinity of the Ark without being killed instantly. The notion that the pyramid contained the pharao's tomb is bogus - Egyptian rulers were buried in the Valley of Kings, far removed from the pyramids. The world has to thank this misleading information to the professional distorters of history whose job it was / is to erase true historic fact from human perception in order to allow the world's hidden 'elite' to manipulate humankind. 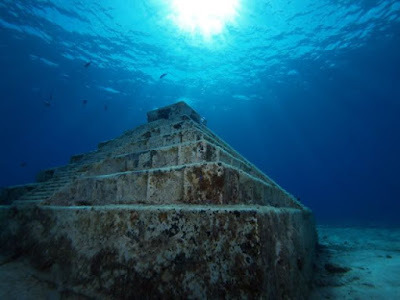 Combining the information of the previous two paragraphs might incite you to conclude that the Ark belongs inside a pyramid to perform its genuine function, which perhaps is energy generation without burning fossil fuel or splitting nuclei. So if there really are pyramids on Antarctica would that be the reason for Russia to go through the trouble of bringing the pyramid's presumed key part to that continent? First an other question begs to be answered. 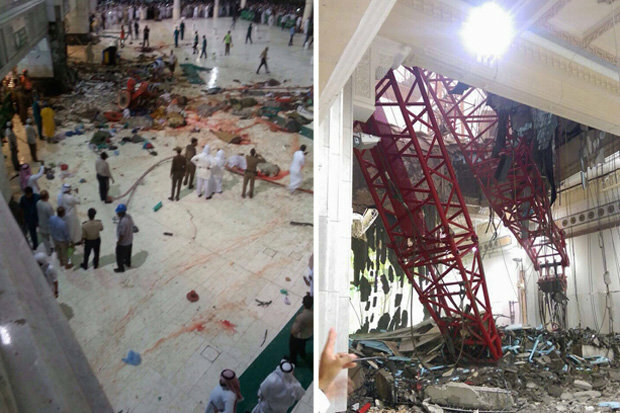 Why in the world would the Saudis tear down Islam's most valued relic? What could possibly be important enough to destroy (as the first two photos in this article show) what Muslims consider to be the most important landmark of their faith? It could be a mind boggling discovery of some sort. 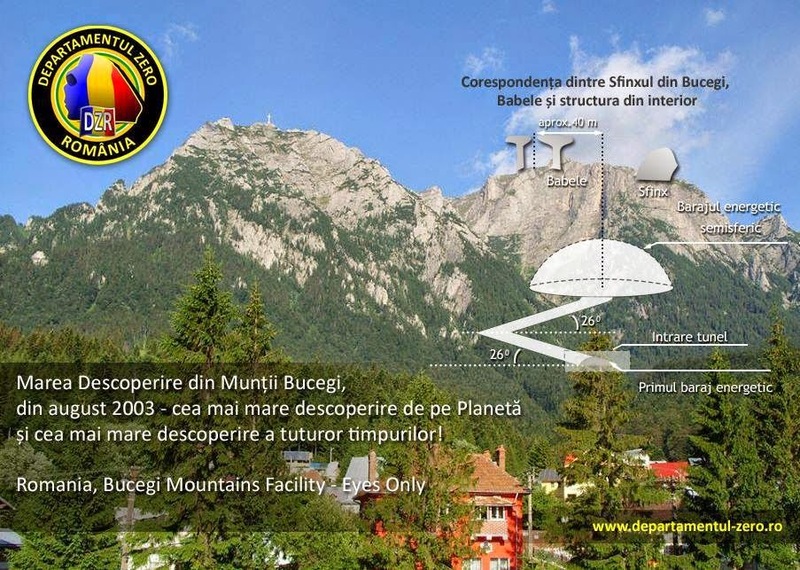 Perhaps one similar to the one that occurred in 2003 in the Romanian Bucegi mountains. 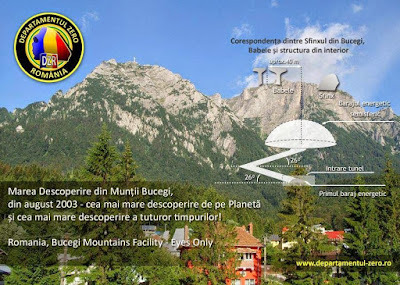 Details of the discovery in Romania are described in Peter Moon's books 'Transsylvanian Sunrise' and Transsylvanian Moonrise'. If what the books contain, is actually true, it is beyond mind boggling; the information does not fit into any reference frame normal people would commonly have. Yet, the circumstantial evidence is there - large amounts of people were killed by an unknown / concealed cause. The information provided in 'official' reports is easily debunked by people who have more than two properly functioning brain cells. But most people are sentenced for life to remain incarcerated in the prison of their deceitfully shrunk comfort zone. 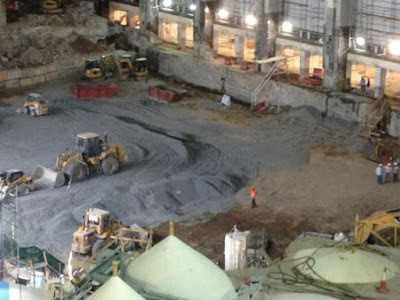 A similar subterranean structure as the one found in Romania was found in Iraq, which is the real reason the US invaded and occupied the country - the oil is a mere bonus. Mr. Moon's books describe the shadowy involvement of unidentified, high ranking Bilderberg members in both events, which hints at the fact that these are matters related to the secret society realm of which intentionally mis-informed, ordinary people know nothing whatsoever. But then there are few who do not settle for information provided by sources controlled by secret societies, but prefer to do research of their own, because they feel they've been mis informed or not informed at all by official channels too often. So then, why did Russia transport the Ark of Gabriel to the South Pole? Did Putin start bombing ISIS only one day after the Ark began its journey to distract the world's attention from this strange event? 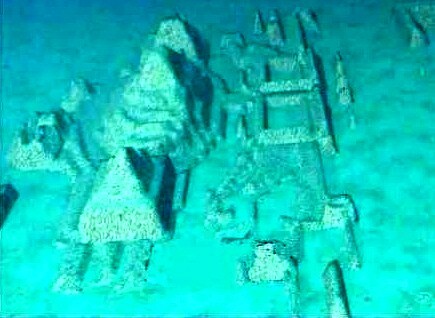 Is the Ark transported to Antarctica to be placed inside one of the pyramids on that continent? 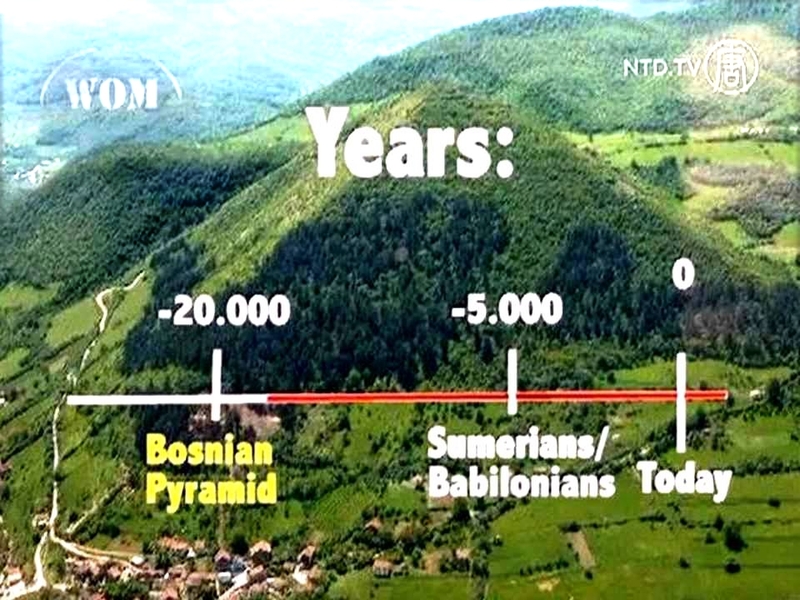 If so, why specifically a pyramid in that area? Was its remoteness and absence of civilian population an argument? Would that allow to experiment without being observed by unwanted prying eyes. 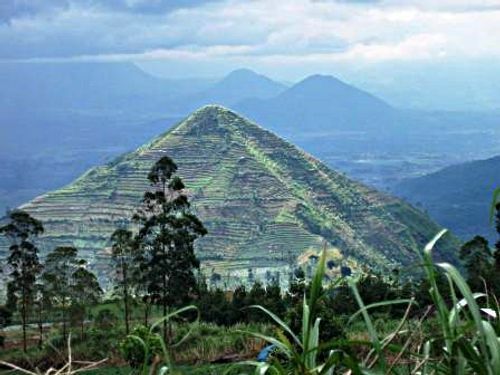 There are MANY pyramids all over the world, many of which are too close to inhabited regions. All these questions for now remain unanswered, but perhaps something will pop up in the near future. Let me know if you encounter anything related to the above and I will post it here, mentioning the source if so desired. Very weird things have already arisen from this strange event involving this mysterious object. Yet this may all be just the tip of the iceberg (pun intended). It's like Einstein said: 'Problems cannot be solved by the level of awareness that created them.' If the events and suspicions described above don't fit into your scope of imagination and awareness, you're never going to get anywhere near the truth in this lifetime in this dimension. Because a much higher awareness than current human consciousness obviously created these problems, which means that an awareness even higher than that is required to grasp and resolve the situation of which we do not even know what the consequence will be... would be necessary to create what we now consider to be mysteries. Have a nice day and stay tuned. The strangeness continues as reported by Benjamin Fulford (former chief editor of Forbes magazine). An other well known person (in certain circles) - Nassim Haramein - also spoke about the Ark or perhaps an Ark since there were / are probably more than one on this planet. I feel there are dots to connect, but possible evidence is still blurred and unsubstantiated. Since secret societies and secret brotherhoods are involved in these matters, it is obvious that certain information is not meant to be shared with anyone outside of their circle. Key to the information concerning the Ark(s) probably are the Knights Templars whose history has been closely knit with that of the Ark. Today the initiation rites into the highest degree of freemasonry and of the Rosecurian cult still involve kneeling before a mock up of the Ark. 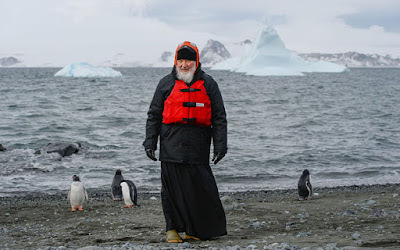 In spite of the alleged absence of US claims to areas of the Antarctic, Obama sent a US Coast Guard (....) to the South-Pole, while having proposed to build more icebreakers for the Coast Guard to use in the southern Arctic region (which isn't particularly part of the US coast, that is its supposed working area...). 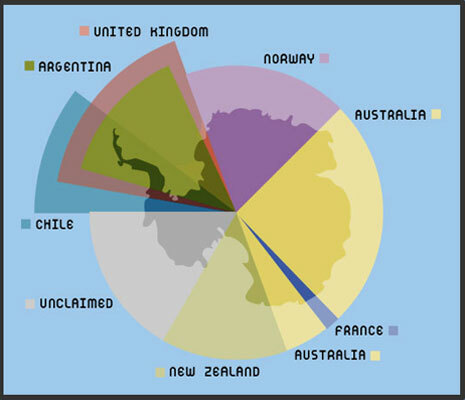 The Germans who have been present on that continent from before WW-II officially have no claim to any part of Antarctica. 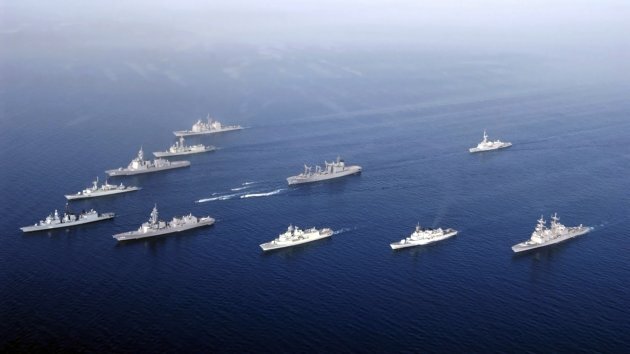 'It is imperative for the United States to initiate immediate defense measures against hostile regions.' Furthermore, he stated that he 'didn’t want to frighten anyone unduly' but that it was 'a bitter reality that in case of a new war the continental United States would be attacked by flying objects that could fly from pole to pole at incredible speeds'. 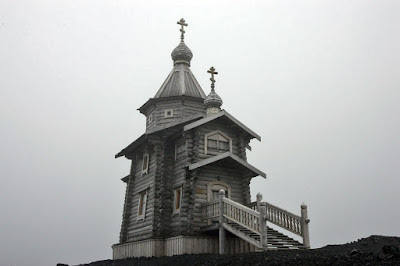 A Russian documentary sheds some more light on the expedition. Now that the Ark of Gabriel no longer is beneath the grand mosk in Mecca, millions of flying cockroaches invade the facility. Coincidence? Think again. The Ark probably killed over 3000 people which may have something to do with pests preferring to avoid what previously was close to the Ark. And then there's this thing in the bible about 'god' from his loving nature, sending horrendous plagues to anyone he dislikes. The cockroach invasion seems like some sort of traditionally biblical plague to me, although I must admit that I'm not really an avid student of biblical tales. Bearing in mind that the measurements of the 'sarcophagus' in the Giza pyramid exactly match those of the Ark of the Covenant, it makes sense to think that the pyramid and the Ark can only function properly when they are pieced together in the way that would seem obvious. 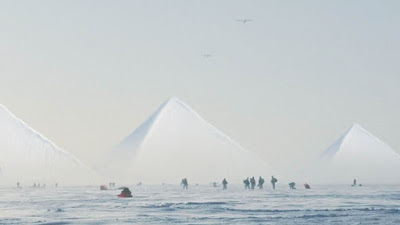 Assuming that there are pyramids on Antarctica and that they have cavities that tightly envelop the Ark, bringing them together would restore the intended match, outside of the public eye, so that whatever event this reunion would result in, would not make it into the news headlines. Another highly speculative train of thought would be that the human presence in the Antarctic was ordered to move the Ark to the south-pole by entities living outside of the public realm. 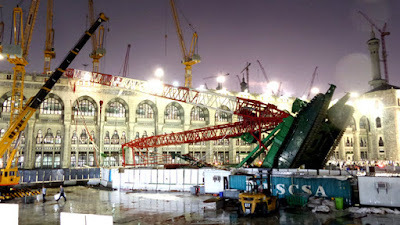 Taking assumptions even further, those entities may have compelled the Saudis to 'renovate' the mosque in Mekka to trigger the events that would lead to the moving of the Ark to Antarctica. I went to think in this direction because 'someone' apparently had enough power to tell the Saudis, the Pope, Kyrill and Putin what to do. Having followed the appearences of Mr. Joseph P Farrell, it may also be possible that the leadership of the 'breakaway civilization' that he speaks of may have initiated this chain of events. The measurements of the 'tomb' in the Giza pyramid (which isn't a tomb) exactly match that of the Ark of the Covenant as described in the bible. It would have fitted in that spot quite snugly. Moses probably nicked it from the Egyptians, who came after the Israelites after the discovered it was missing, possibly because they ran out of energy. Go and study the Bible and you will see that there was no Ark until after they were free.... God gave Moses the Ten Commandments then he had Moses to build the Ark of the Covenant to keep the two tablets in it !!!!!!!!!! There are more than one ark. The bible also suggests earth was created in 6 days 6000 years ago. I also do not believe that. All these events are covert activities by unauthorized usurpers of authority. For example when they knew they could not make it to the moon, they faked it to the moon! After all, they are good liars and made trillions of dollars from hard working American Zombies. The love to purpetuate lies about what you live on and it's not a spinning globe!!! The same with the Ark, they have created a false flag fake Ark kill some people mysteriously and then create another phony diversion!!! The Ark has not been found and when it is, it will not be in the hands of wicked secret society criminals who take it to the South Pole!